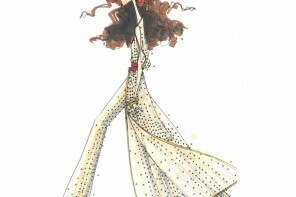 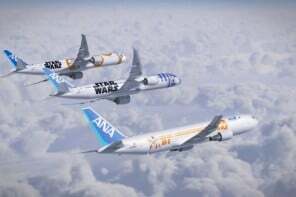 C3PO is the latest character to join Ana’s line up of Star Wars themed jets. 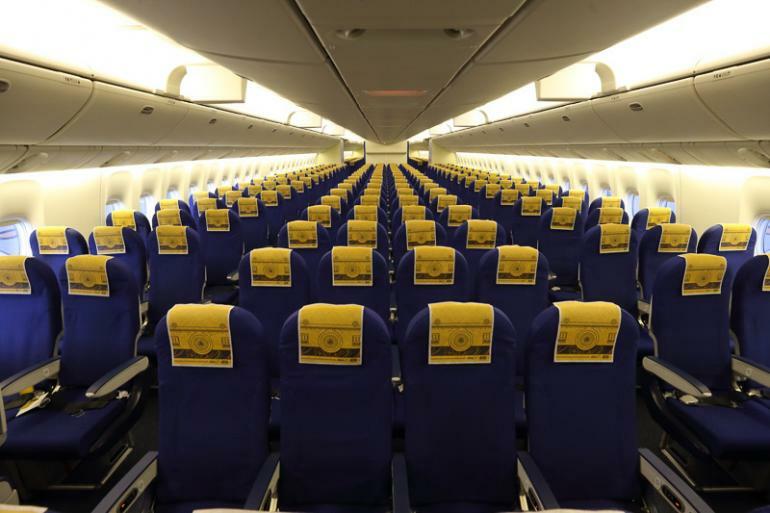 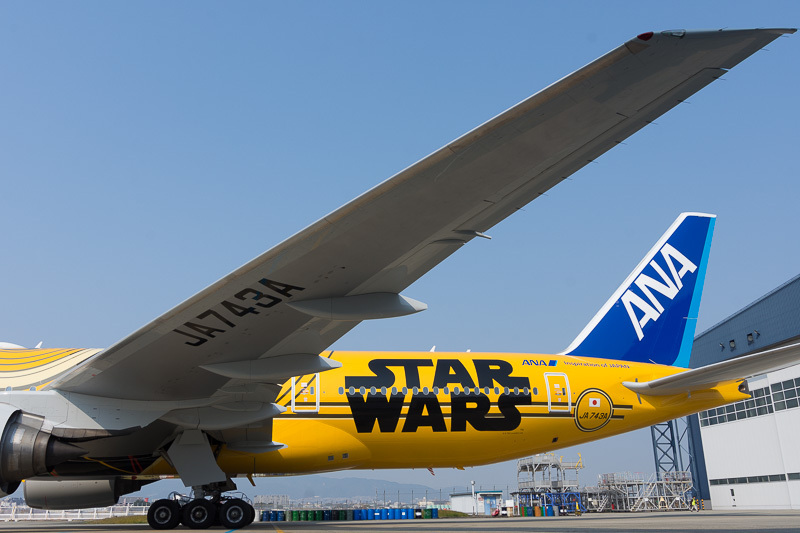 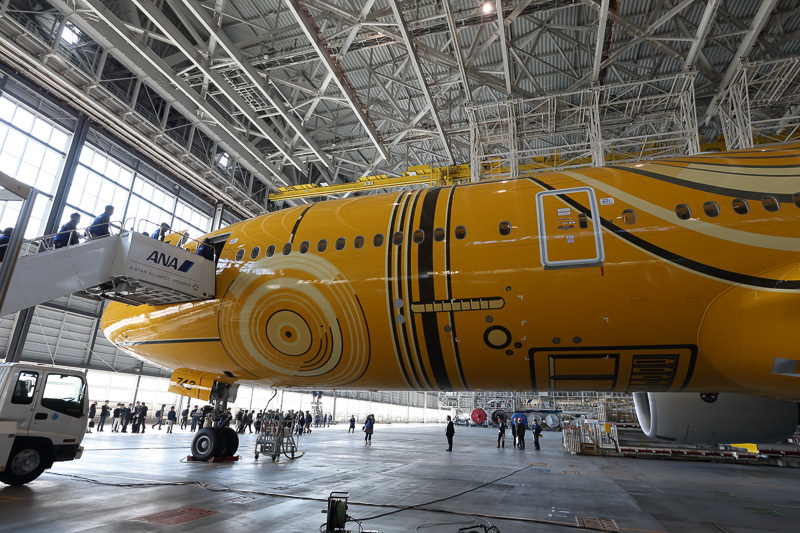 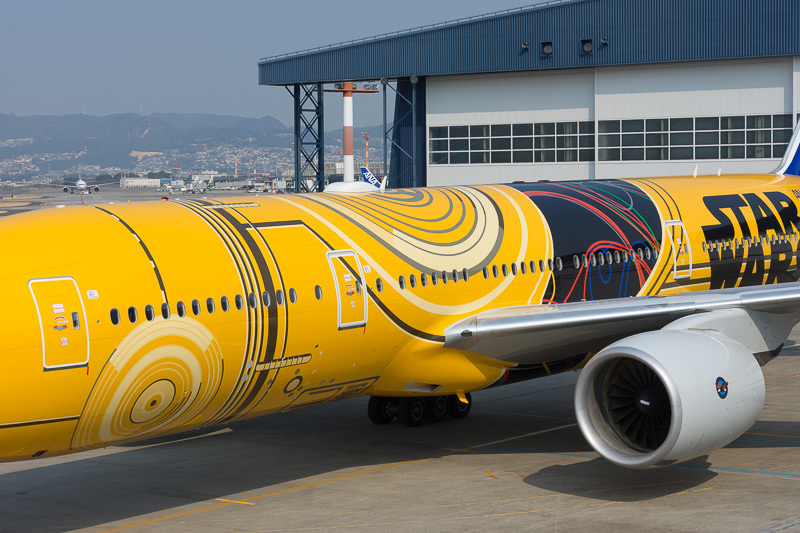 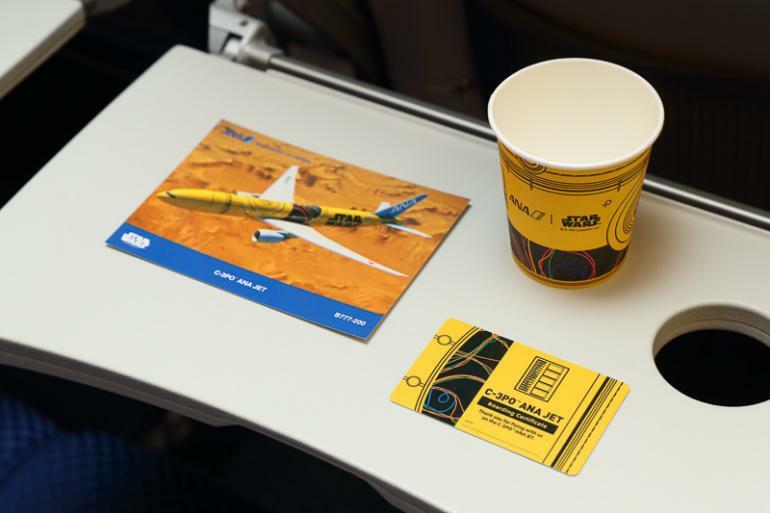 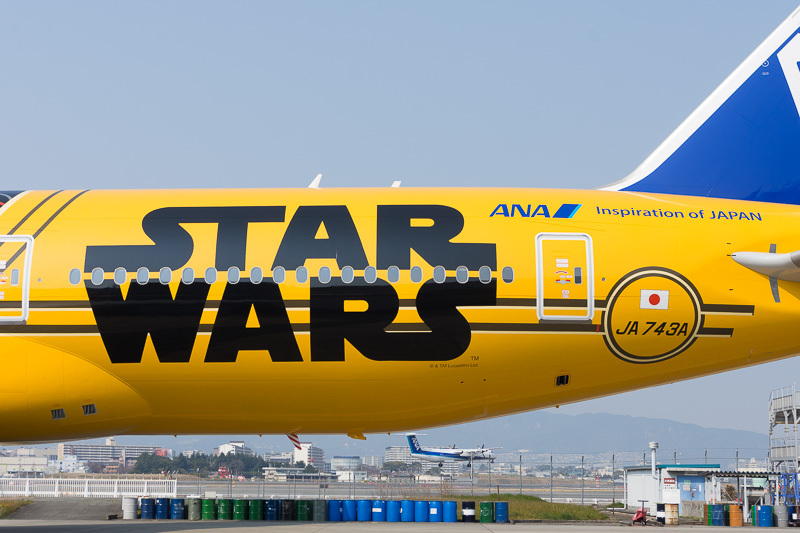 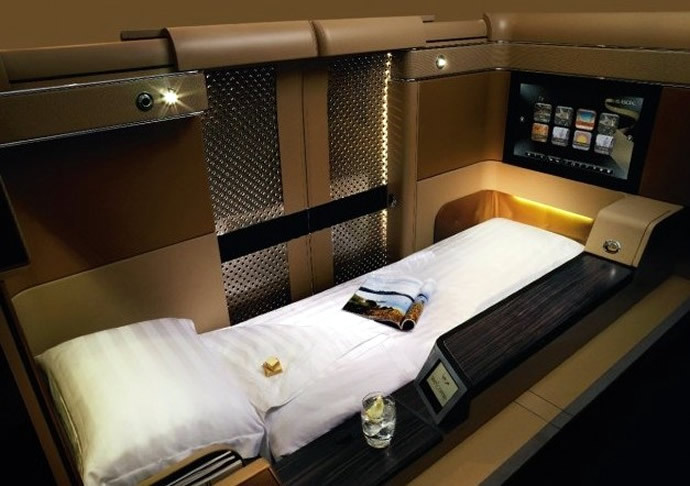 Clad in bright yellow the Boeing 777-200ER is designed with motifs of wiring and discs which are characteristic of the most popular humanoid from the Star Wars universe. 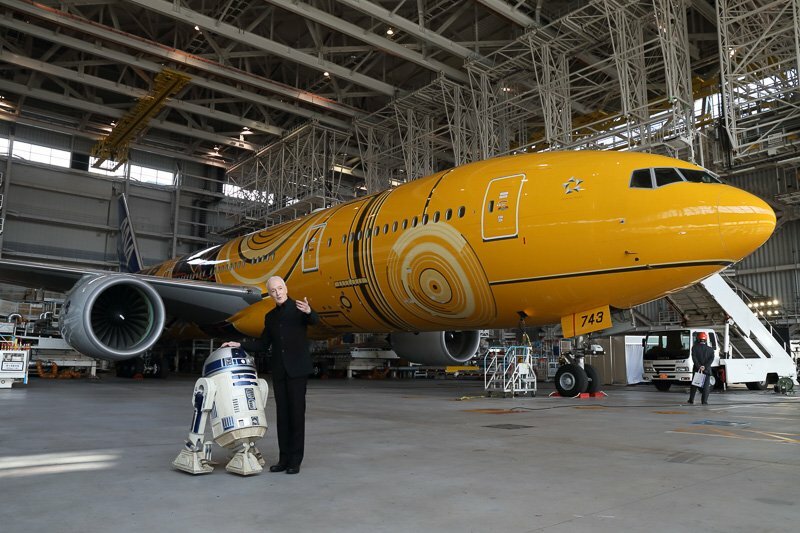 Present at the inaugural flight was British actor Anthony Daniels who played C3PO. 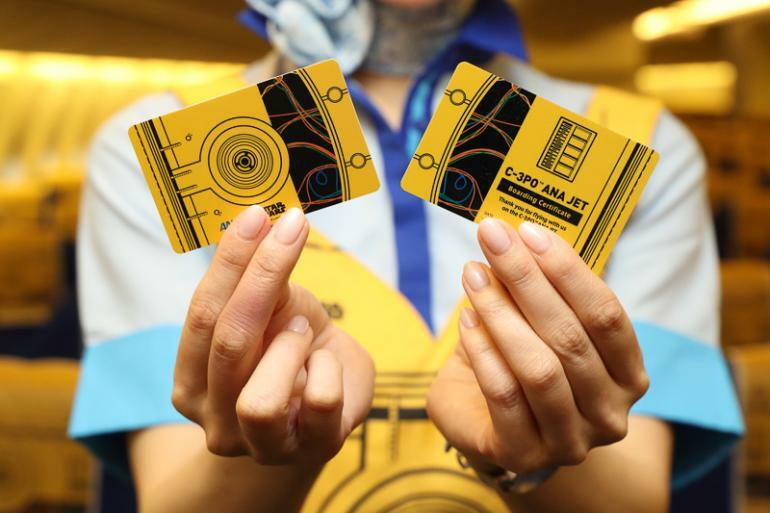 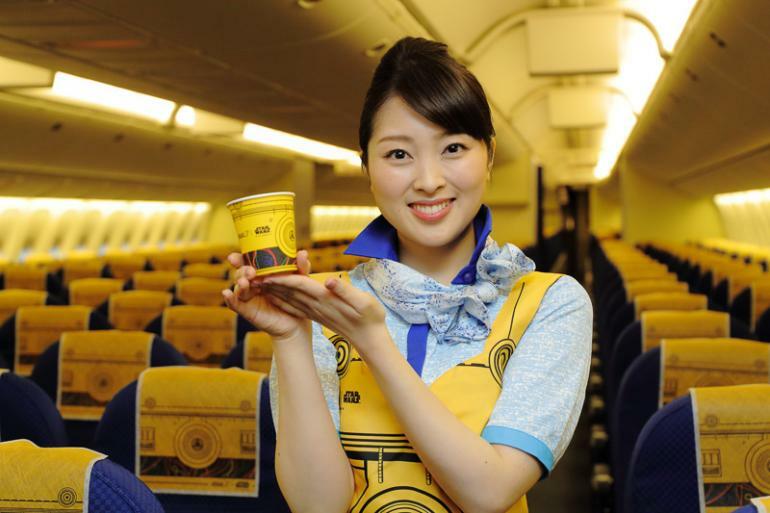 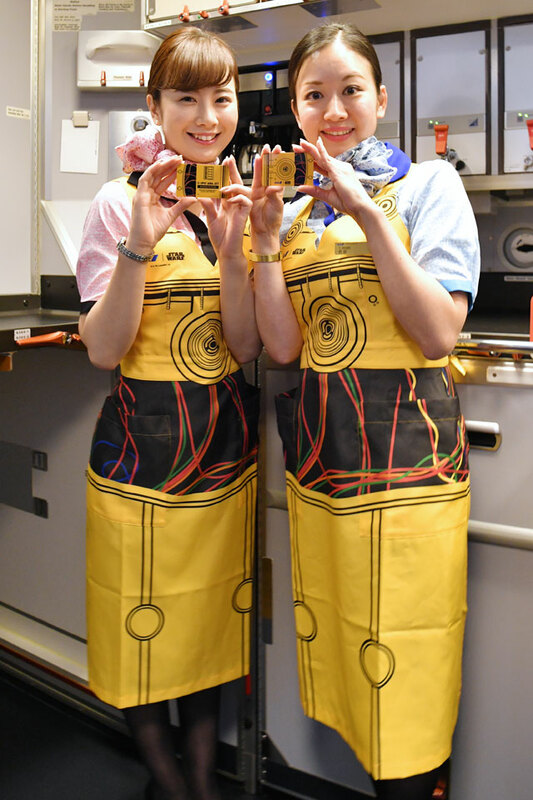 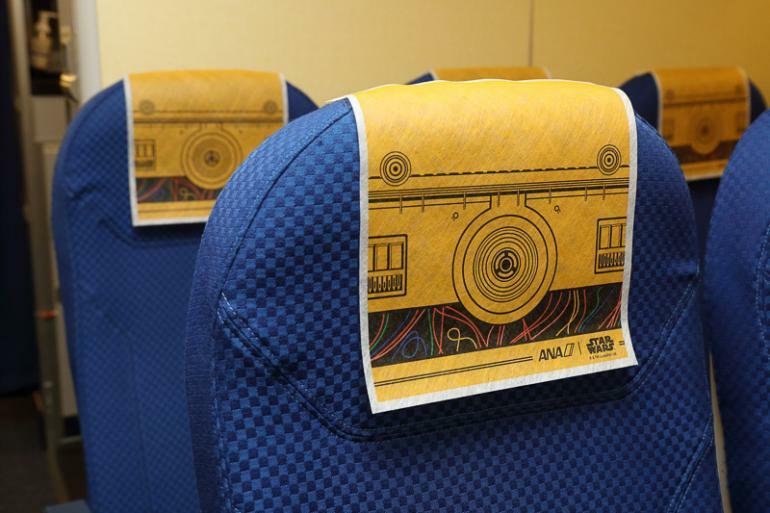 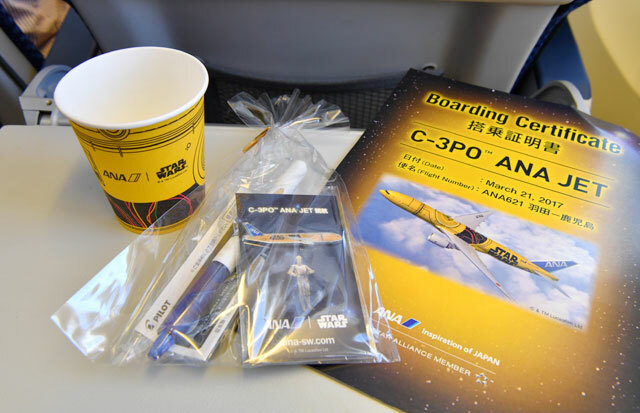 Onboard cabin attendants wore special C3PO themed aprons the theme continued with the coffee cups, headrests and even the boarding passes. 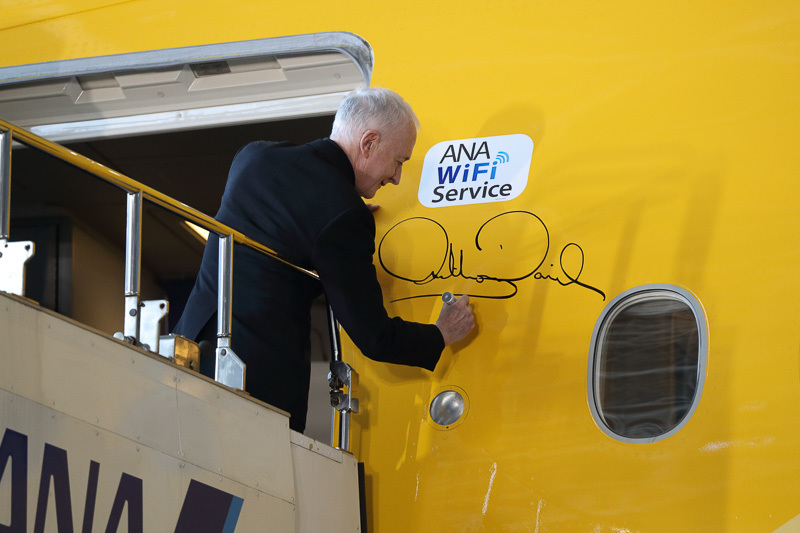 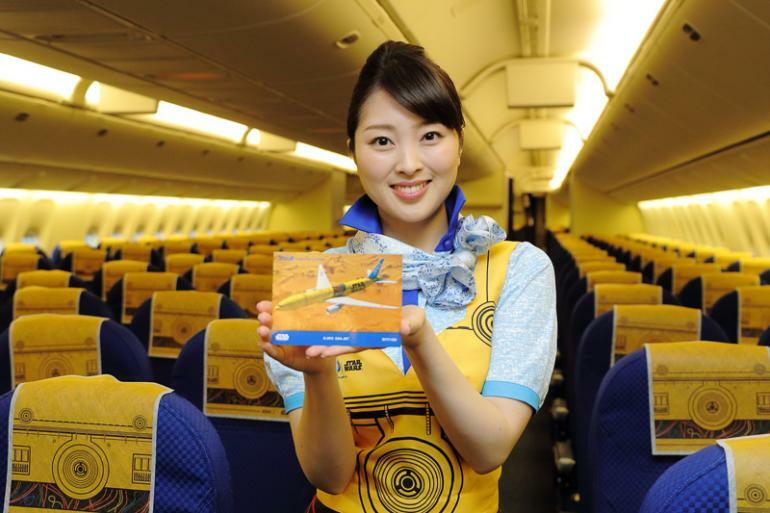 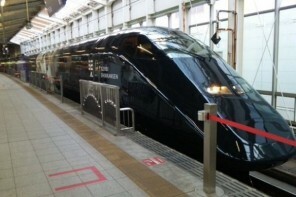 Starting next week this aircraft will begin service on domestic Japanese routes. 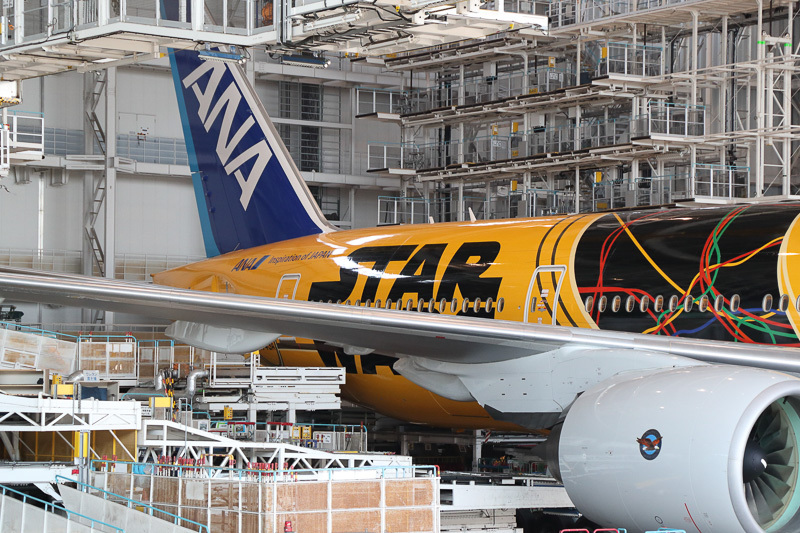 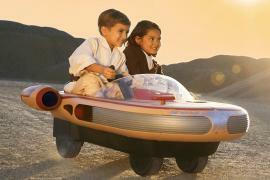 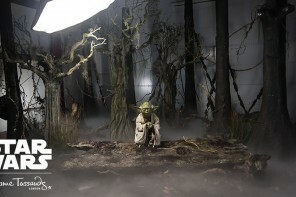 Definitely a treat for any Star Wars fan here is a glimpse of what it is to fly the plane. 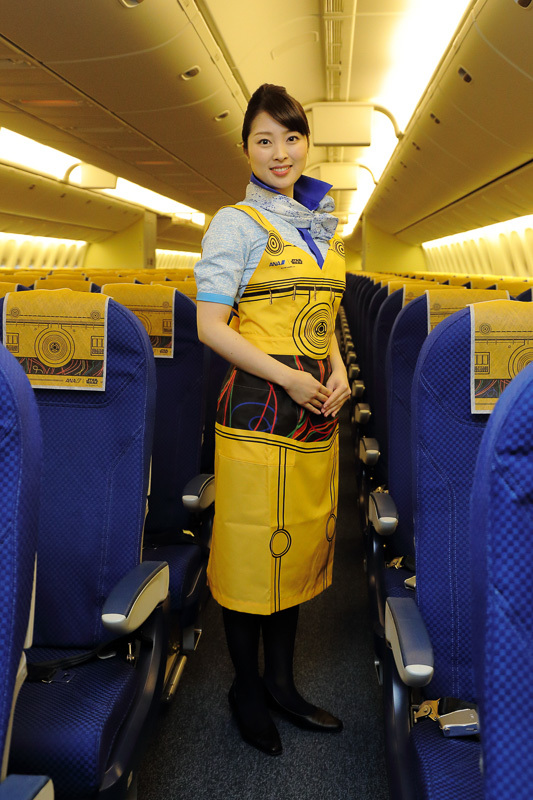 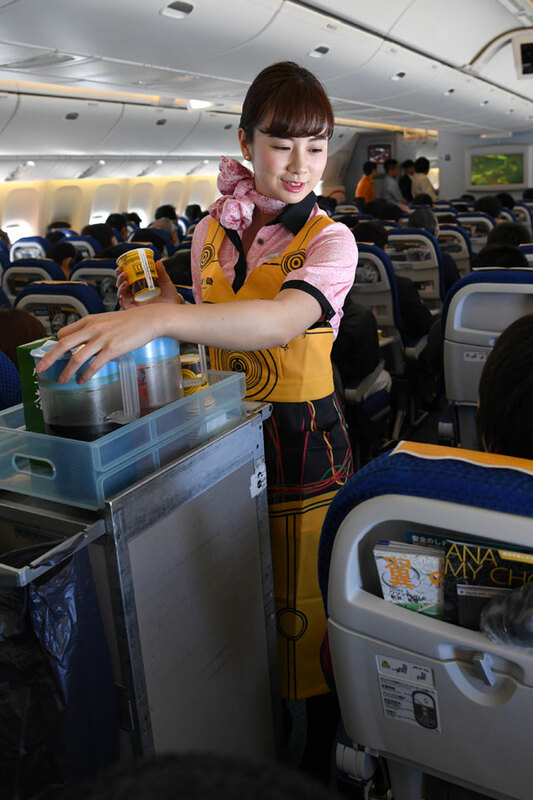 Stewardess wearing a themed apron.